The Art of Chocolate at Graycliff Chocolatier begins your chocolate journey with the history of chocolate and its new Bahamas home. Trace the provenance of regional cocoa beans and learn the importance of promoting fair trade and organic farming. 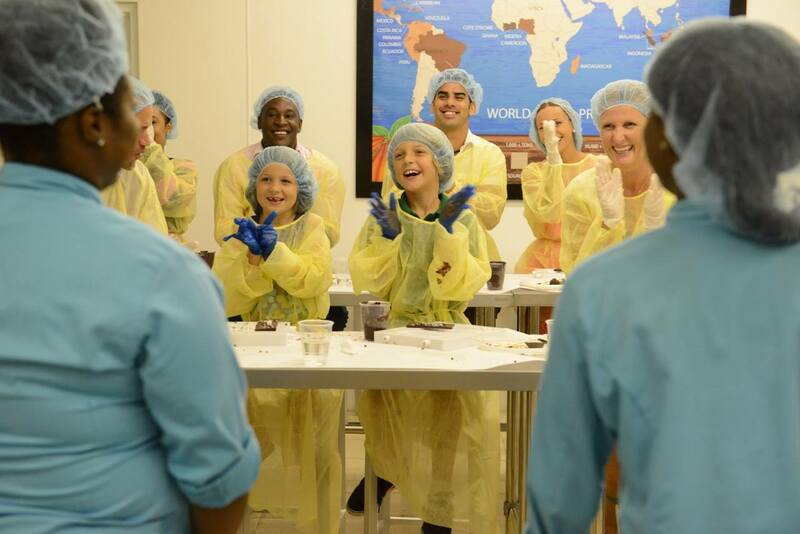 You will explore the factory, see how cocoa beans become scrumptious candy and get hands-on as these gems are roasted and ground into cocoa nibs, stoned ground into liquid chocolate then poured into sculpted molds. Grayclff's Chocolatier demonstrates techniques for dipping, glazing and using molds to craft bars, bits, bonbons, truffles, barks and cocktail pops. Become an artist creating your own Graycliff Chocolate Bar masterpiece with the finest Graycliff chocolate!